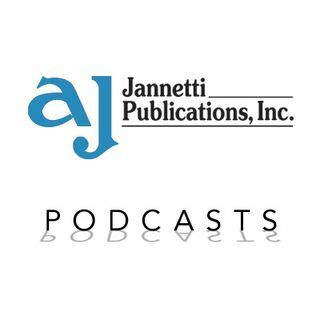 Jannetti Publications, Inc., podcasts provide extended content of articles published in our scholarly, peer-reviewed nursing journals. The MEDSURG Nursing Journal Podcast Series provides extended content of articles published in MEDSURG Nursing, the official journal of the Academy of Medical-Surgical Nurses (AMSN). With content ideal for new nurses and advanced practiced nurses, MEDSURG Nursing is dedicated to advancing nursing practice and improving adult health. ... See More MEDSURG Nursing features innovative articles on such clinically relevant topics as managing symptoms, preventing illness, and promoting health. © Jannetti Publications, Inc. The Nursing Economic$ Podcast Series provides extended content of articles published in Nursing Economic$. Nursing Economic$, The Journal for Health Care Leaders, advances nursing leadership in health care by providing information on current and emerging best practices. Perfect for nurse executives, nurse managers, nurse educators, and ... See More other healthcare administrators, Nursing Economic$ features dynamic articles addressing quality care, innovative cost strategies, and fiscal and ethical responsibility. The Pediatric Nursing Podcast Series provides extended content of articles published in Pediatric Nursing. Pediatric Nursing is a clinically based journal covering the latest advances, trends, and research in child health care. Used as a resource by more than 12,000 child healthcare professionals, Pediatric Nursing features articles ... See More relevant for pediatric nurses in a variety of settings, from hospital to home and school, and with a variety of skills, from preventive to acute care.